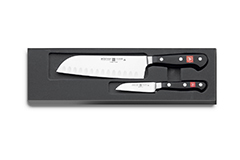 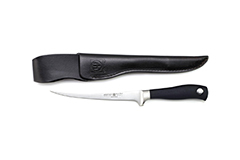 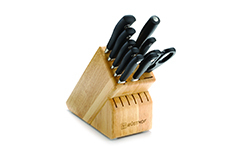 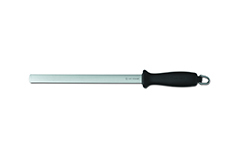 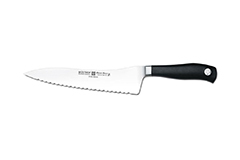 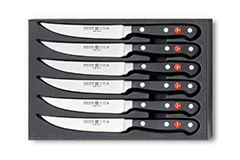 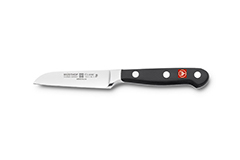 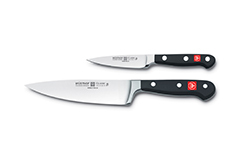 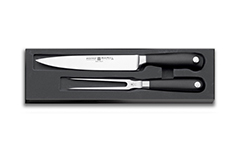 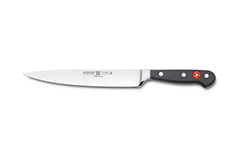 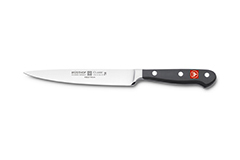 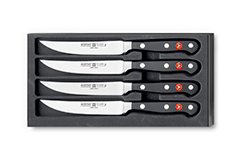 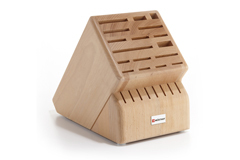 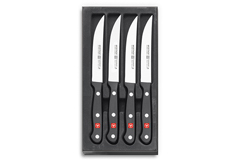 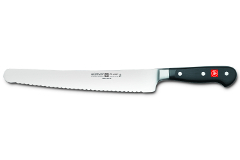 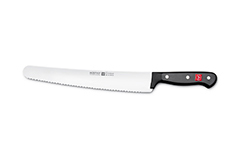 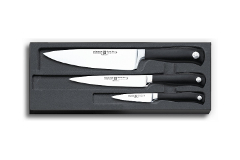 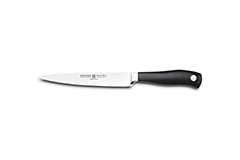 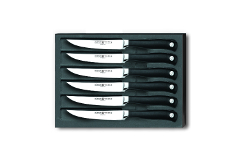 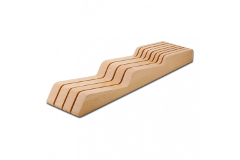 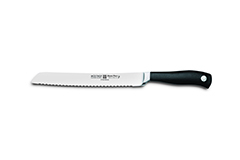 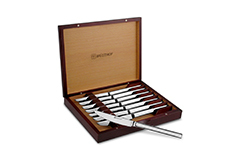 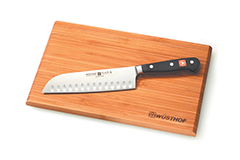 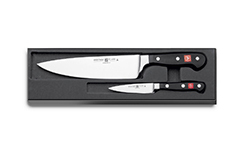 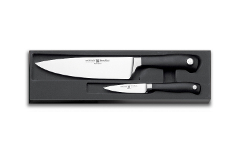 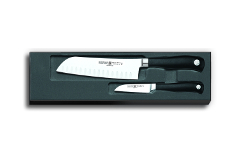 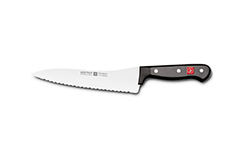 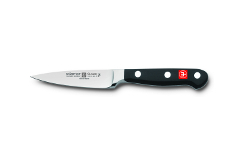 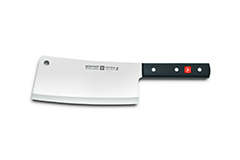 Wusthof is the name synonymous with high quality German cutlery. 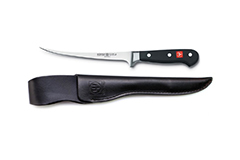 Founded over 200 years ago in Solingen ("city of blades"), Germany, the company is still guided by 7th generation family members Viola Wusthof and Harald Wusthof. 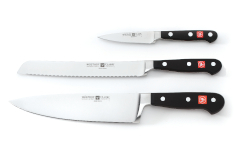 From the timeless Classic line to its newest Epicure collection, the company continues to innovate and define a culture of passion, diligence and perfection. 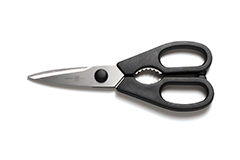 Through a proprietary process inclusive of computer-controlled robotics, Wusthof's PEtec yields a smoother, more refined edge with dramatically increased sharpness and sharpness retention along the entire length of the blade. 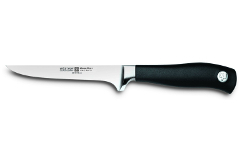 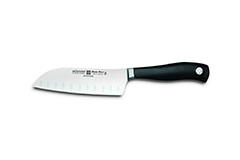 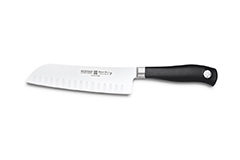 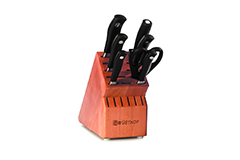 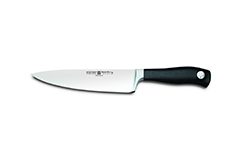 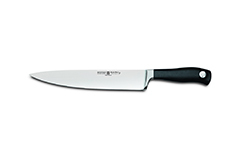 The result is a knife with a definitive advantage for every home or professional chef.